This has been the regular meeting, that was attended by 23 members of the network, local Government Representatives, Public Prosecutor Office, Police, Center for Social Work, Civil Society Organization, Red Cross and other organizations and institutions representatives, as well as representatives from local institutions from Vranje. Coordinator of Network from Presevo, Head of the Senter for Social Work Liridon Latifi regularly attends this meeting too. These two Networks coordinate their work and especially cooperate when it comes to matters of migrants rights and rights of refugees who live in Southern Serbia Asylum Centers. At the meeting the second quarter monitoring report that was compiled by Local network Vranje was presented, aiming at monitoring of excercising migrant and refugee rights, as well as collecting recommendations for improving protection systems in each local network and community, where they are held. This report is the product of work and effort of all the members of network in which each person has provided his or her contribution through conducting group focus interviews with migrants, in-depth interviews with service providers at local level, etc. This report, as well as the reports from other Serbian networks, will be presented to the public imminently. At the very meeting Jelena Kostic, East Border Coordinator has represented activities that will be carried out in Vranje and that are part of the project “Building Together – Community Monitoring and Advocacy” (from subgrant that is provided within the project), and those activities are related to supporting migrants and asylum-seekers education, either parents or children, who are encentered in the Collective Center in Vranje. Network has also discussed about matters in the field of protection of human trafficking victims and further steps in this field, as well as adjustment of recommendations of Human Trafficking Combat Council for activities and objectives of Network for future period. New activities that will be used for supporting the existing system, and will take a few further steps in building the system of support at the local level, were announced. A follow-up Network meeting is scheduled for May 18, 2018 in Vranje. Project “Building Together – Community Monitoring and Advocacy” is directed to promoting the position of migrants and refugees in Serbia and Former Yugoslavian Republic of Macedonia, especially targeting women and children population. 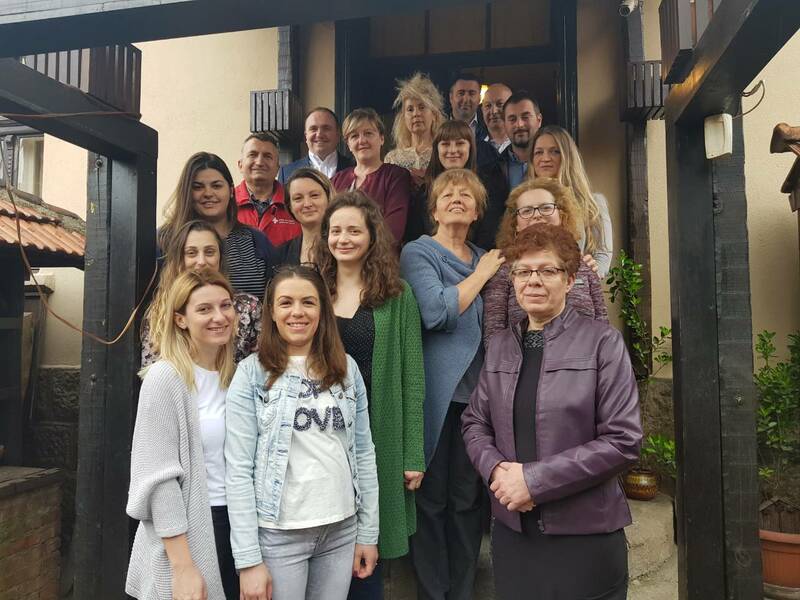 In six municipalities in Serbia - Subotica, Sid, Sremska Mitrovica, Belgrade, Presevo and Vranje, and four municipalities in FYR Macedonia - Kumanovo, Gevgelia and two municipalities in Skopje – in cooperation with state institutions, local governments and civil society, we improve the quality of co-living of local inhabitants and migrants. The project is carried out by the Konrad Adenauer Foundation in collaboration with Association Atina and NGO Macedonian Lawyers Association, with financial support of the EU.